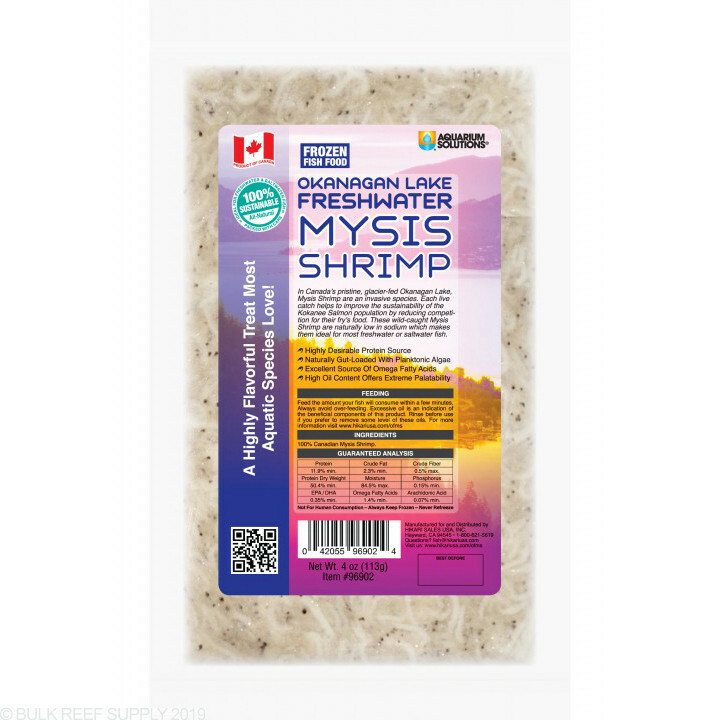 We have tried many different brand and types of frozen food and we have yet to find any to match the quality for the price of Hikari's Canadian Mysis Shrimp. 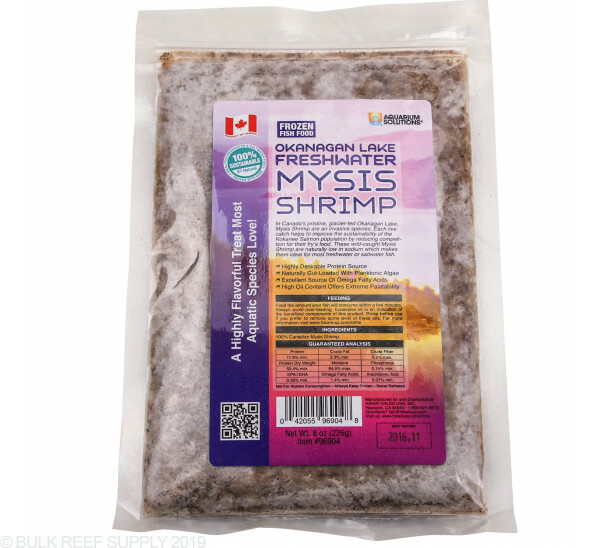 Lake Okanagan mysis is one of the most sought after species of shrimp in the world, and can be found in the pristine, glacier fed Lake Okanagan. 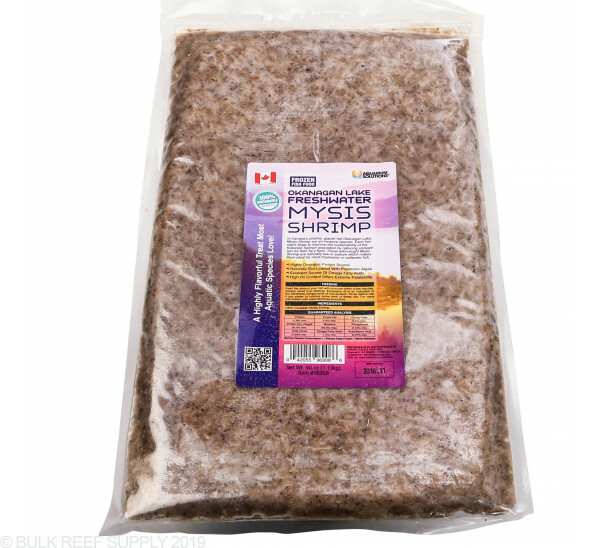 Mysis Shrimp are invasive to Lake Okanagan and by harvesting the mysis we are helping the Kokanee Salmon population since the mysis are in direct competition for a food source. 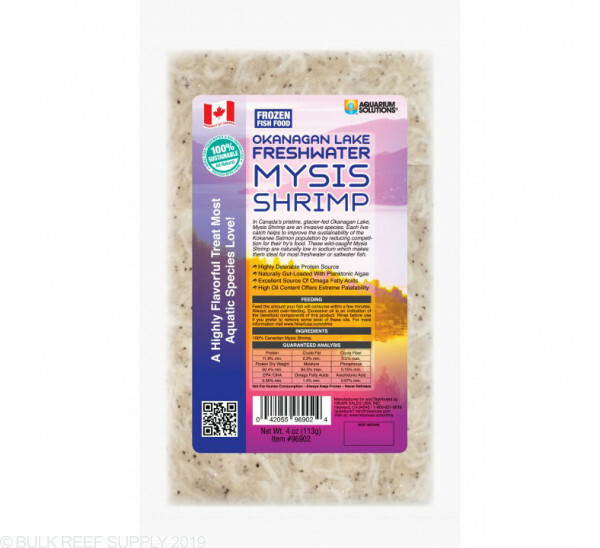 Canadian Mysis Shrimp is harvested from a glacier fed Lake Okanagan. 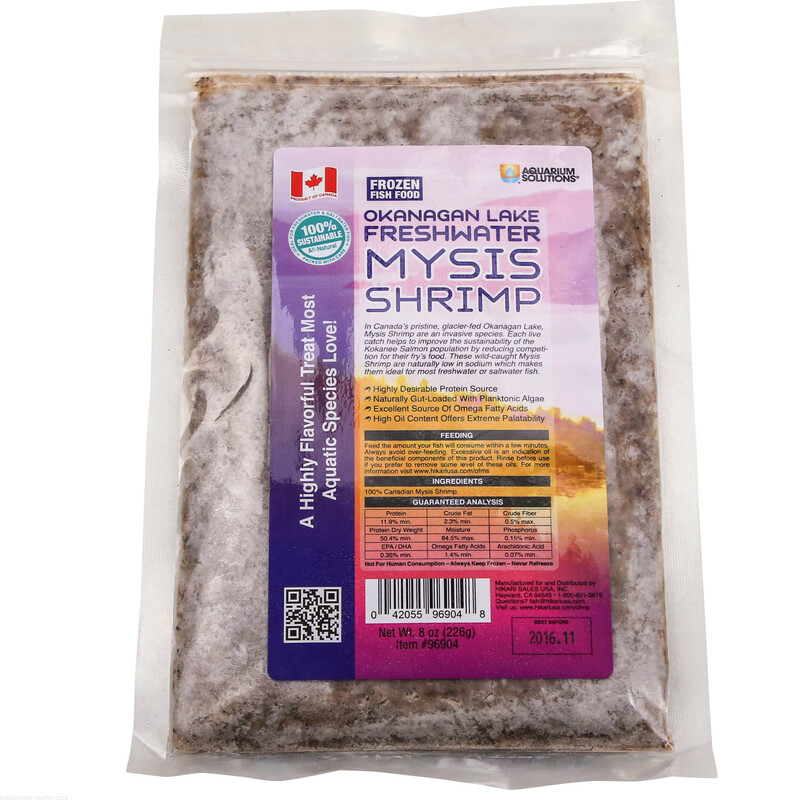 In Canada’s pristine, glacier-fed Okanagan Lake, Mysis Shrimp are an invasive species. 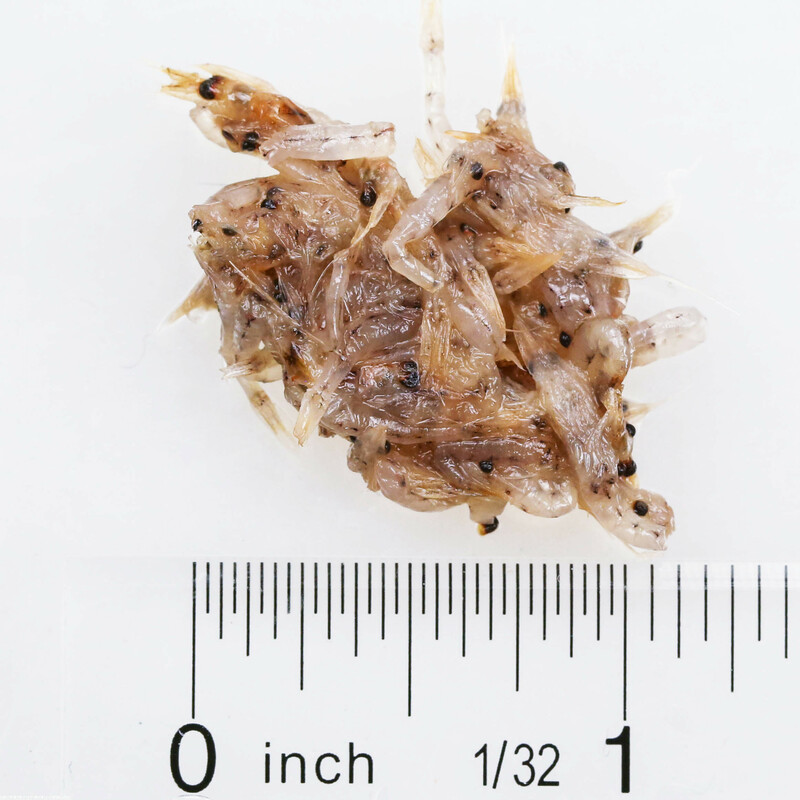 Each live catch helps to improve the sustainability of the Kokanee Salmon population by reducing competition for their fry’s food. 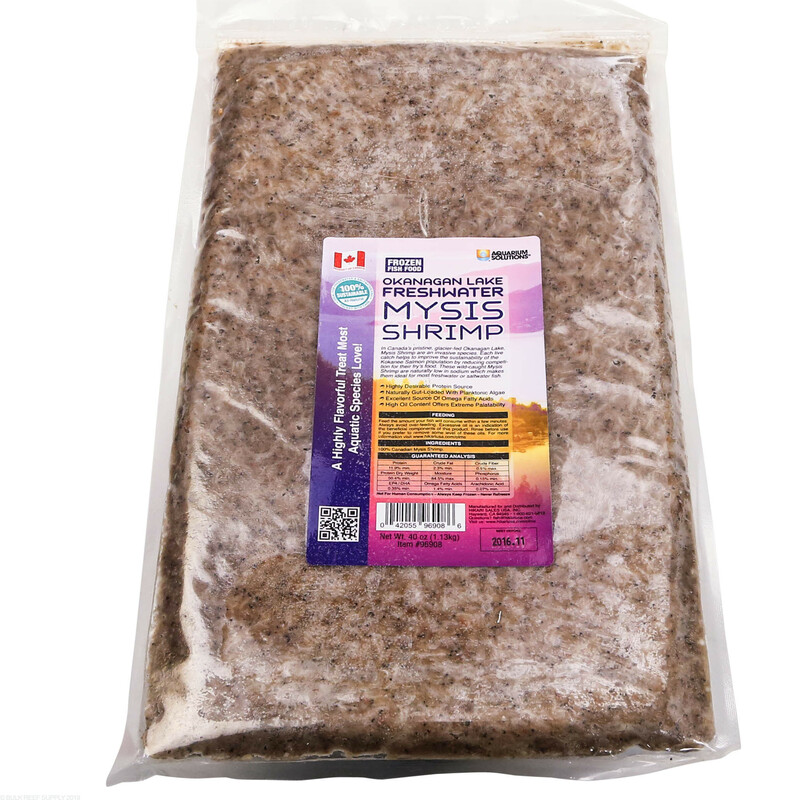 These wild-caught Mysis Shrimp are naturally low in sodium, and high in protein and fatty acids which makes them ideal for most freshwater or saltwater fish. 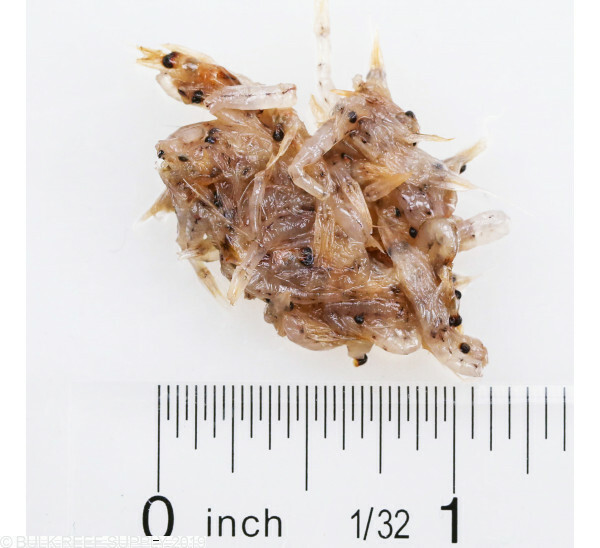 The mysis shrimp are harvested at night when they will naturally rise to the surface to feed on zooplankton and phytoplanktons naturally gut-loading the shrimp and increasing the digestible nutrients.